I was extremely lucky to get this pen recently. First I got the body/cap/section but sans nib and then abfter posting on PT I located the nib (thank you Syd). Today I put everything together and I got this. Very curious in this pen is the lever. I hope to take some pictures soon and include them here. I am not sure if the clip is original and if the nib is of the right size. I found relatively little info on Superites. They were located in Cambridge and related to Carters and Chilton pens. For example LaFrance patents include 1,528,379 which is a patent on the pneumatic filler apparently used for the Chilton pens later on. 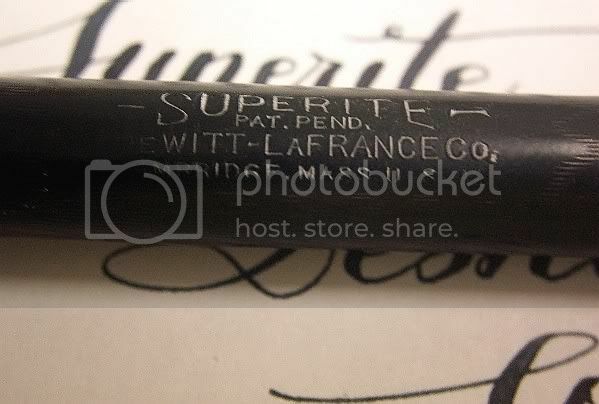 See for example this Carters pen http://www.jimgaston.com/jg327.gif which Jim Gaston claims that shows the connection between Carters and Superite. 1/20 Gold-Filled pens, with Warranted nibs. 1/20 Gold-Filled pens, with Superite nibs. 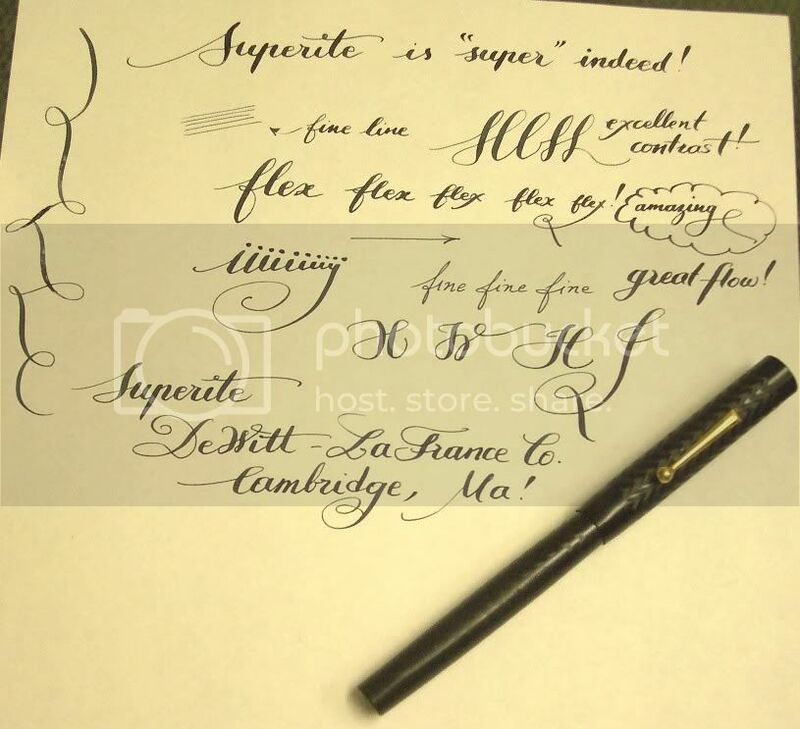 1/9 Gold-filled pens, with Superite nibs. Pens made for department and jewelry stores, etc. Any more info is more than welcome. Edited by antoniosz, 21 March 2007 - 02:28. 2. Some reference postings on FPs. Wow is the only word to describe that work. 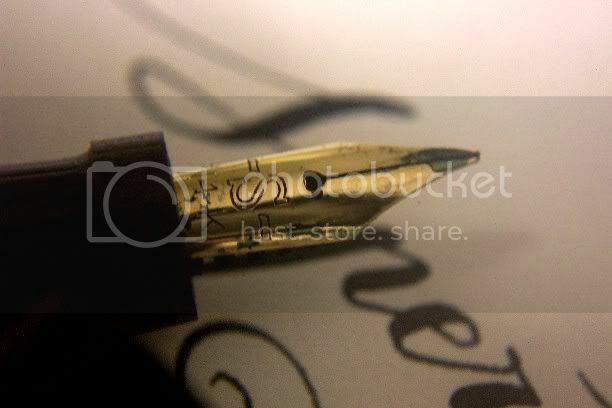 Perfect example of a great pen and nib in the hands of a skilled artist. Great job, Antonios. I feel like I am truly looking at an old document when I see your handwriting; I am in awe of your skill!